The City Police Department is accepting the Independent Panel’s complete list of recommendations to improve the NYPD internal disciplinary system, Police Commissioner Jim O’Neill announced on Friday. O’Neill appointed the Independent Panel, consisting of former U.S. Attorney Mary Jo White, former U.S. Attorney Robert Capers, and former U.S. District Court Judge Barbara Jones, on June 21, 2018, to conduct an autonomous, extensive review of the embattled system and to propose recommendations to improve it. The panel’s thorough 57-page analysis paints a picture of department disciplinary proceedings shrouded in secrecy. “The end result is a system that is understandably perceived by the public and others as gesturing towards some transparency, but ultimately remaining largely closed to any external scrutiny,” White, Capers and Jones wrote. 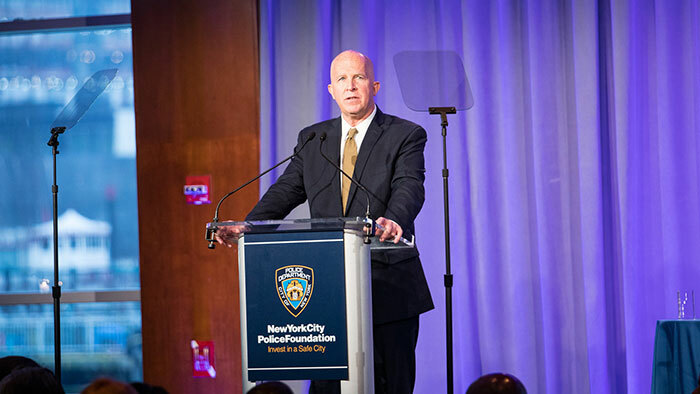 On Friday, O’Neill announced that an NYPD Implementation Panel will now administer the operational, legal and budgetary plan to enact all recommendations. Some of the recommendations can be implemented in the short-term, over the next 30-60 days. Another set of changes will require additional time to take effect. The NYPD will also ask an outside entity to perform an external audit of the overall implementation process, O’Neill added.